Salvarias's visions have saved the city of Serinity. 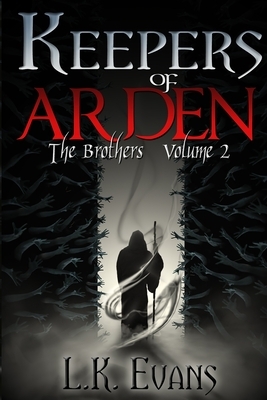 Now, a new vision of a massive army will send the Laybryth brothers and a group of companions on a perilous journey across Arden. As the darkness discovers the secret behind Salvarias's visions, it schemes a dreadful ploy to ensnare him. Wilhelm's abilities become battle tested as he struggles to keep his brother safe. But not all of Wilhelm's enemies can die by the blade. Destructive powers igniting inside Salvarias threaten to drag him into darkness. It falls to Wilhelm and Lunara, a woman with a mysterious connection to Salvarias, to show him that he is deserving of the love he so desires.